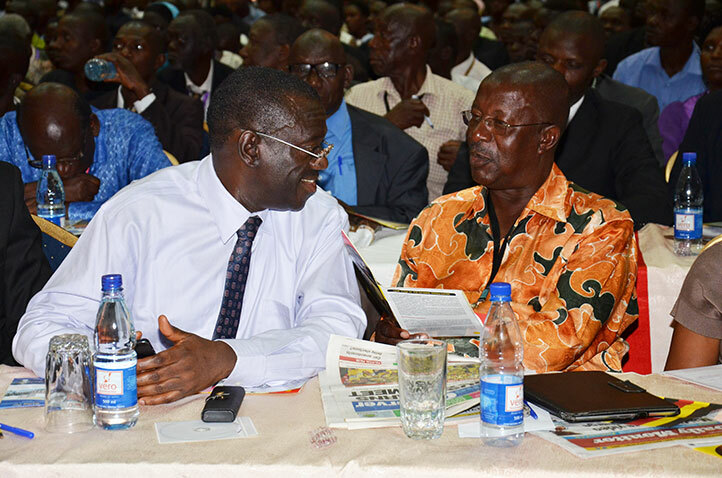 It isn’t everyday another deflector from NRM who has been a vital part of FDC goes in on Dr. Kizza Besigye. As he has done with Museveni when he lingered in power he switched party to be a part of FDC as well. The words and letter he wrote to the Dr. Kizza Besigye is powerful words from a man who support the party that he deflected to. Both men left the NRM for some of the same reasons. They are both educated and has been on a long road to where they are today. So I respect the views from Mugesha. Therefore I see them as valued debate about how the opposition should show leadership skills and also get new blood in. I am a big-fan of Dr. Kizza Besigye candidacy, but I still see the issue! It isn’t just NRM who should have renewed leadership; its steady ships everywhere that need shifts. If not the staleness and roughness get inside the organizations and parties that doesn’t evolve, but makes certain systems around them. This is the big issue with the NRM. But the People President deserves another chance to win in an election and run as a president. Though with the rigging and running of the Electoral Commission the race isn’t in there in other lanes then theoretical, in reality it’s something else. Who is Nuwe Amanya Mugesha? “Nuwe Amanya Mushega is a law graduate of the University of Dar es Salaam, from where he left for Makerere University, becoming an Assistant Lecturer at the Faculty of Law. In 1974 he obtained a Masters and became a Lecturer in the Faculty of Law at the University of Zambia in Lusaka. He returned to Makerere University in 1979 as a Lecturer and continued in that capacity until 1981” (…)”In the same year Mushega joined the National Resistance Movement/Army (NRM/A) of Yoweri Museveni where he rose to the post of National Political Commissar. He also served in various ministerial roles in the ministries of defence, local government, education, and public service. During that time, he also served as the Member of Parliament representing Igara East in Bushenyi District” (…)”In 2001, he was appointed by the EAC heads of state to serve a five-year term as Secretary General of the East African Community (EAC).He later disagreed with President Museveni over his continued stay in power and subsequently joined the Forum for Democratic Change(FDC). He was promoted to the rank of Colonel, and retired from the UPDF” (Mandu, 2015). “The venue is Lubiri barracks and the day the NRA captured Kampala in 1986, Yoweri Museveni had just announced to his commanders that he was only going to rule for 2 years. One man stood up and told Museveni that the two years were not enough and it should be at least four.years before elections. THE NAME OF THAT MAN WAS NUWE AMANYA MUSHEGA.NEBASE”. “No, I am not disappointed, but I am not happy [with Besigye] and I have no shame about it. You see, you cannot tell what you don’t have. When people believe that you are the answer God has given, [because] I have heard people say it’s only Besigye who can manage the FDC… “ (…)”But [Julius] Nyerere [Tanzania] gave up the leadership of CMM which he led and eventually the country, but he went on to support those who came after him in the party and the country to make Tanzania a better place. He even advised them not to do some of the things he had done and apologised to his people” (…)”[Nelson] Mandela in South Africa gave up the leadership of ANC and the country he even criticized them sometimes. He never went behind the scenes to create parallel structures to create civil society and other things…” (…)”So, let us learn from others. The moment you think you are indispensable, you begin to be a problem whether you see it or not, you will be and you are undermining the institution. It will be good if a leader steps down and then works hand in hand with those after him, and advise them if they see that they need you back, they should be the ones to genuinely say so. But when people praise you that without you there will not be a party, then you are not everlasting. We will all come to end but what will you leave behind” (…)”The crucial issue is not washing linen in public; it’s washing linen wherever you can wash it because if you don’t wash it and keep it in the closet, it will eventually stink and cause more problems. Don’t you see people washing clothes and plates and put them on wires when you move in Kampala? What are you hiding if the linen is dirty? Wash it” (…)”You are taking me back to my first answer. I don’t believe in saviors, I have seen it…there are things you will do by leading others…by advising your successors than leaving the grave to advise them…it’s not a question of defeating Museveni, it’s about if you are to be in power, what organisation is likely to lift Ugandans out of this situation. Is the priority strong leaders or strong institutions? But I have told you that the graves are full of indispensable leader” (Walusimbi, 2015). “Hon Mugesha (with due respect) observer newspaper interview and attacks on KB remind me of the time when KB was in luzira prison before the 2006 election” (…)”we were organizing to nominate him in absentia, FDC members from all over the country had fully signed and submitted required signatures from nomination” (…)”I am trying to write all this history in a book that I will release soon” (TheInsider.co.ug, 2015). She continued: “They were fronting Gen Muntu, a matter that would have left Dr Besigye to rot in prison. Don’t joke with FDC members; people refused to sign, and in most districts, these forms were torn into pieces while others were burnt” (Sadab, 2015). On the 24th of August journalist Komakech wrote this about it: “Recently, Amanya Mushega, a former Museveni Minister, and now Opposition FDC elder, revealed that the sole candidacy idea was first mooted in 2001 when Besigye emerged to challenge the status quo. Subsequently stunts by MP Okot Felix Ogong and others who tried to challenge Museveni, made ring-fencing of the Party’s Chairmanship inevitable” (Komakech, 2015). “You stated that in 1999, you approached some of us to leave the Movement and when we failed; you decided to start the work of ‘heavy lifting’ to remove the dictatorship and that you left the Movement for that purpose” (…)”For how long will this ‘heavy lifting be a personal obligation and mission? The fact is that you did not leave the Movement; you just run for the office of the President under the Movement system. There were some members who moved a motion that Mr President be declared a sole candidate in 2000. Some of those movers are now victims of that thinking, some of us openly opposed this move and argued that you were free to stand. We even advised against the efforts to have you arrested and victimised. Your ‘entasiima’” (…)”By the way, to refresh your memory, just 10 years earlier in 1989, you led a team to draft a resolution for a constitutional amendment to extend NRM rule and hence the leadership of President Museveni for an extra five years which was passed” (…)”We may recall that when the Constitution was being amended to remove term limits, there were many clear voices in and outside Parliament who opposed it and some paid and are still paying a price. Not everyone succumbed to money offers. This was before FDC was formed” (…)”Later on at the first NEC meeting at party headquarters, a meeting you chaired, it was raised that actually there were other people who had been nominated but papers not presented. To cut the long story short, Wandera was dropped and replaced by another person. The real reason, he had supported Muntu. Wandera is alive” (…)”When you stepped down, I told some leaders at that time that you had stepped down tacticfully in order to come back with a bang as flag bearer. So your coming back was not a surprise to me, what surprised was the spurious reasons you advanced” (Mushega, 2015). The opinions of Mr. Mugesha are important. He has history in both parties. Both in the NRM and also the FDC, he has been an important man for Museveni. He was even trusted with a position in the EAC. That was before he had fallout with him and went then to the FDC. And he will not be alone with these thoughts about Dr. Kizza Besigye. Especially since he now made a decision to stand again as a flag-bearer in the party. By all means he is dramatic in words and tone. That is expected. If he is supporter for Gen. Mugisha Muntu then all of that is understandable. Mugesha has the right to ask and its healthy to be questioned the rights of Dr. Kizza Besigye to run again. The issue that can be clear is to have a viable candidate against M7 or Yoweri Kaguta Museveni, the long-serving president in Uganda. And he would not fear Gen. Mugisha Muntu, but he will fear Dr. Kizza Besigye! That is something we will already know and is powerful in its self, especially when this continues to on the election trail to the February 2016. It is true that all the elections before Dr. Kizza Besigye has lost, but Mugesha nows, the whole FDC nows that the EC has been rigged by the NRM. The history both this fellows has with Museveni is special because the way they we’re trusted men in the movement before their fallouts of his ranks. So that there will stories from 1986 and actions that is lacking of the ethics that are today can be understandable. Their words today will be different then back then. The way they act is different and being in opposition has changed them both. They also have stories from the NRM that hasn’t surfaced yet and the years they both have had there. The stories of how they lived in the FDC will also come to light there more things happen. For both Dr. Kizza Besigye and Mugisha Muntu their ways will be in the spotlight until the flag-bearer for 2016 is picked and is valid by the party. The NRM shouldn’t really matter and the Yoweri Kaguta Museveni ghost shouldn’t hunt the FDC party, but it does. Therefore when your hunted you have to use strategies to withhold the pressure and make sure you’re ready for wild goose hunt and hope you get the prey. Dr. Kizza Besigye got 718. So the party has made a good decision, but the issues and questioning from peers in the party is healthy for a democratic and influential party. Even though we can question the motives and time for doing so. Then again, what do you think?